Danese/Corey is pleased to announce the opening of Personal Spaces, curated by Associate Director Brent Auxier. Included are ten artists whose figurative paintings draw inspiration from their everyday experiences and their most personal relationships. 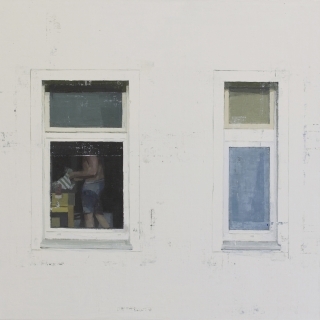 By choosing to depict moments of grand significance as well as those quiet and mundane, these artists offer glimpses of their individual histories through the illustration of their human connections, rich interior lives, and emotional landscapes. Serving as confessional visual diaries, the paintings in Personal Spaces represent the artists’ relationships with those most cherished, intimate reflections of themselves, and exploration by means of their craft. By expressing these personal truths through the vehicle of painting, these artists edify the notion that the individualized is truly the most ubiquitous.